State of the art armamentarium and excellent color matching features of modern dental restorative materials have made the job easy for dental health care professionals to achieve best solutions for cosmetic abnormalities and defects for their patients. Take care of your dental health because it is of great importance. Tooth colored fillings and dental laminations are among the most popular treatment options. This is for masking blackened, discolored and spaced teeth these days. 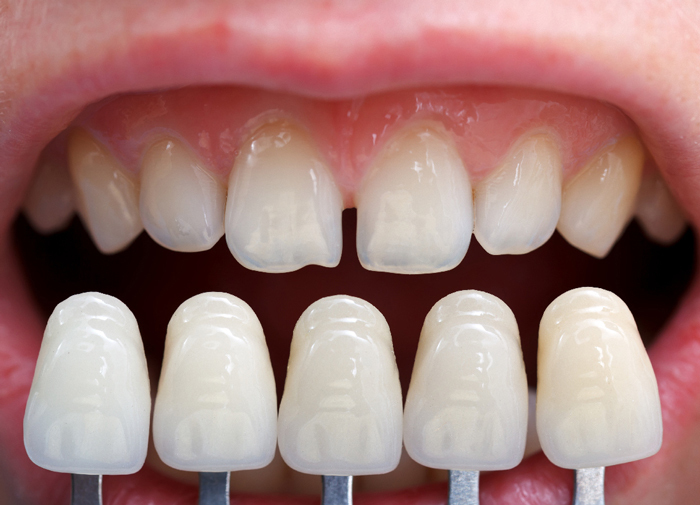 Dental veneers are particularly opted by majority of patients. Thus, it is good for tooth stains such as tetracycline antibiotic induced stains which are extremely resistant to conventional teeth whitening and bleaching procedures. However, conventional dental porcelain veneers require removal of sufficient healthy natural tooth structure. This is for for creating space for gluing this prosthesis on the front surfaces of teeth. Albuquerque New Mexico 24 hours emergency specialist cosmetic & restorative dentist Dr William C Gardner at NM Family and Cosmetic Dentistry PC has got the most conservative cosmetic and restorative treatment option for malformed and unsightly appearance of your teeth in the form of innovative and modern. DENTAL LUMINEERS which are more effective than veneers for enhancing and beautifying your smiles because it is a modern technique. Q. WHAT ARE DENTAL LUMINEERS? IS IT POSSIBLE IN ALBUQUERQUE NEW MEXICO? A. DENTAL LUMINEERS which can be regarded among the biggest breakthroughs in the history of cosmetic dental sciences are extremely thin and conservative porcelain veneers used for achieving maximum esthetic benefits for cosmetically compromised and slightly mal-aligned natural teeth. Q. HOW ARE DENTAL LUMINEERS UNIQUE AS COMPARED TO CONVENTIONAL VENEERS? A. DENTAL LUMINEERS made from special type of dental porcelain material are different from conventional composite and porcelain veneers due to their extremely low thickness and excellent color matching with adjacent healthy natural teeth in real quick time. These are as thin as a wafer or contact lens and do not necessitate painful drilling for the removal of sound tooth structure in order to create space for their cementation. Q. HOW MUCH PAIN WILL BE FELT DURING DENTAL LUMINEERS TREATMENT? A. DENTAL LUMINEERS are ultrathin cosmetic treatment prosthesis which can be placed to mask and hide malformations of your teeth. Thus, it is without drilling and removing surfaces of teeth. No symptoms of pain discomfort and sensitivity is usually felt during the whole procedure. Conscious sedation is available for relaxing anxious and phobic patients. Q. WHAT WILL BE THE PROCEDURE TO GET DENTAL LUMINEERS? HOW MUCH TIME WILL IT TAKE? A. Your cosmetic dentist will completely evaluate the dental condition for getting an informed consent. An impression of your teeth is of great use. The model is then of great use in state of the art dental laboratory for fabrication of innovative DENTAL LUMINEERS for the esthetic correction and modification of your teeth. On second dental visit, the dental prosthesis uses cementing technique because it is of great help. The whole procedure needs just two treatment visits. Thus, it is totally convenient. Q. CAN DENTAL LUMINEERS TAKE THE PLACE OF ALTERNATIVE TO DENTAL BRACES? A. Complete evaluation and assessment of teeth mal-alignment and degree of malocclusion helps. Your cosmetic dentist opts for DENTAL LUMINEERS in place of orthodontic treatment. Mild malocclusion and slightly mal-aligned teeth gets a good shape with the help of conservative DENTAL LUMINEERS. Q. WHAT IS THE PROPOSED LIFE PERIOD OF DENTAL LUMINEERS? A. Clinical longevity testing has shown DENTAL LUMINEERS to be long lasting. It is all about durable cosmetic restorations which can last as long as 20 years. So get in touch with your dentist right now. Q. CAN I CHEW AND BITE NORMALLY WITH MY DENTAL LUMINEERS? A. Yes. DENTAL LUMINEERS provide complete freedom of eating, chewing, drinking and biting foods and drinks. However, you need a regular check up, cleanings and follow up visits twice a year after getting this cosmetic treatment. Because, dental health is important, you should never ignore it. So, fix an appointment right now. Do you have cosmetic defects in your teeth? Is it making your smile less pleasant? Is this owing to decayed, missing, crowded, crooked, mal-aligned or mal-posed teeth? You can visit your 24 hours emergency Albuquerque New Mexico dentist Dr William C Gardner. Book an appointment at NM Family and Cosmetic Dentistry PC. He is available throughout day and night. He focuses upon best solution for improving your dental and oral health conditions. So, get in touch right away.